This guide to leeks has all the information you need to know about spring leeks including a bunch of leek recipes to try out yourself! I remember the first time I went to the local farmer’s market store when we moved here in early March a few years back. I was so enamored with the ambience of the place, I didn’t even care that the shelves were practically bare and the reality of March in NY when it comes to local foods is pretty slim. I left with some local bacon and an ungodly amount of leeks, pretty much the only thing that was technically “in season” at the time and we ate these green little beauties in practically every meal for about 2 weeks. 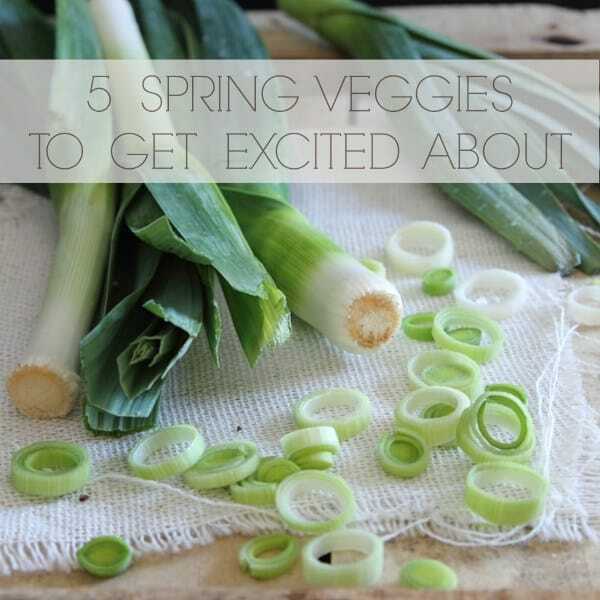 So it seemed appropriate to talk about leeks in this week’s spring produce guide. Leeks are fun because after far too many months of boring white onions, you can finally throw something green in your sauté pan! Plus, their cute little circles always get me. Even the dirt they seem to amass doesn’t bother me because…well, they’re cute and green. I’ve never missed that color as much as I do in the winter months when all I see as I look out the window is gray, white and brown. Bonus – they’re milder than their onion cousins and don’t make you cry while chopping! Peak season for leeks is March through April so stock up and get your fix now! There are winter and summer leeks. Winter leeks are harvested in the beginning of spring (now!) and tend to be heartier and more flavorful than the smaller and more mild summer leeks. Leeks should be straight, firm and bright green. Wilted and yellow looking outer leaves/tops mean it’s past it’s prime. The smaller in diameter, the more tender. Try avoiding any stalks bigger than about 1.5 inches wide. Easy, just store them in the plastic bag you bought them in and refrigerate for 5-10 days. Leeks must be cleaned thoroughly before using as they contain lots of dirt from the way they grow. The best way to clean them is to trim the top and bottom off, cut lengthwise down the stalk and then chop into half circles. Place half circles in a bowl of water, gently mix with your hands and let the dirt settle to the bottom. Repeat again if necessary. Leeks are used like onions and are best sautéed or braised. 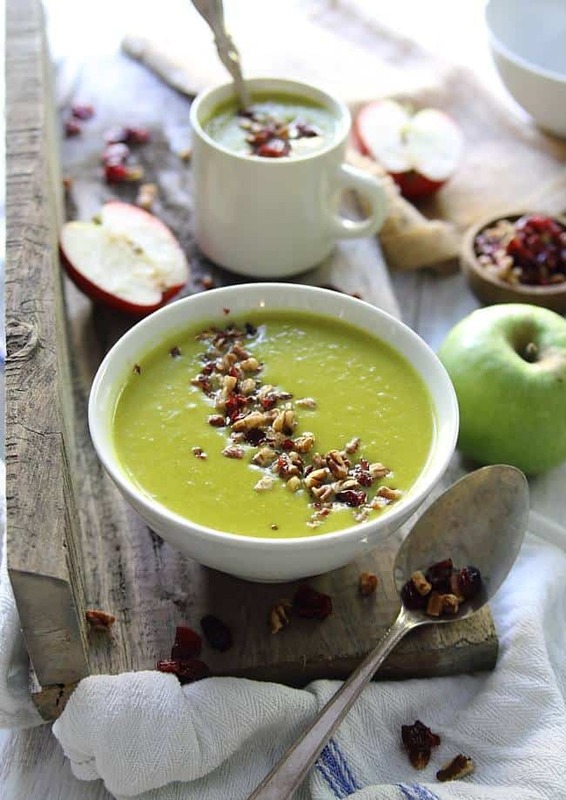 Leeks are a great source of vitamin K, maganese, vitamin B6 and vitamin A.
Leek Apple Cheddar Soup – This leek apple cheddar soup is sweet, creamy and topped with chopped walnuts and cranberries. 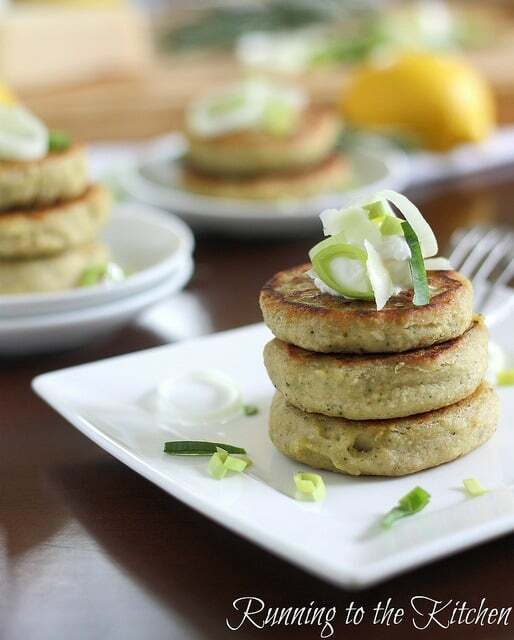 Rosemary leek cannellini cakes – These rosemary leek cannellini cakes make a light stand alone vegetarian meal or a great savory side dish. 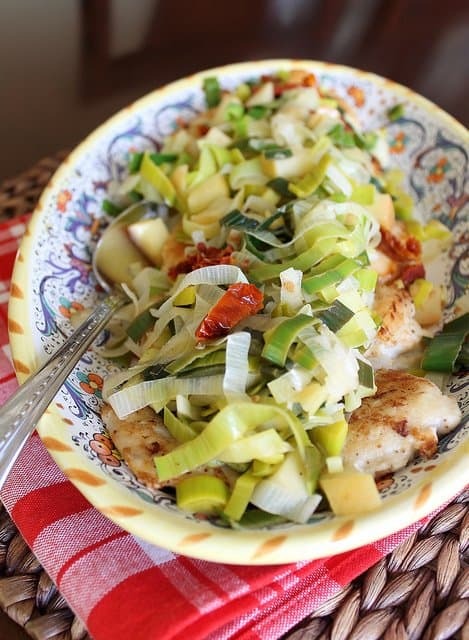 Chicken with leeks, apples and sun dried tomatoes – This chicken with leeks is cooked with apples and sun dried tomatoes. A meal fancy enough for guests but easy enough for a weeknight dinner. 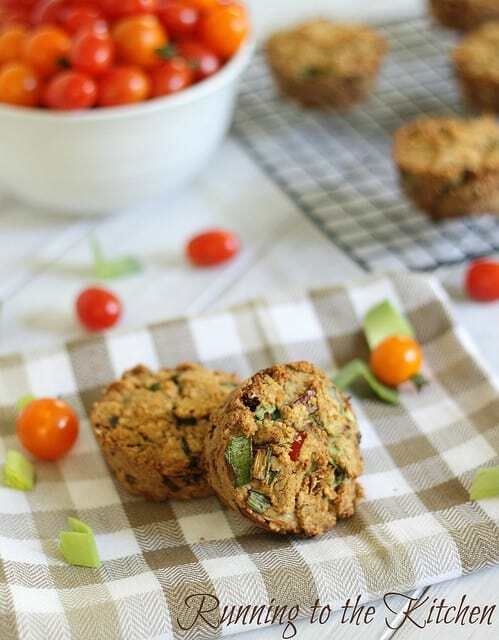 Sun dried tomato leek muffins – These paleo sun dried tomato leek muffins are made with almond and coconut flour and the perfect savory snack. 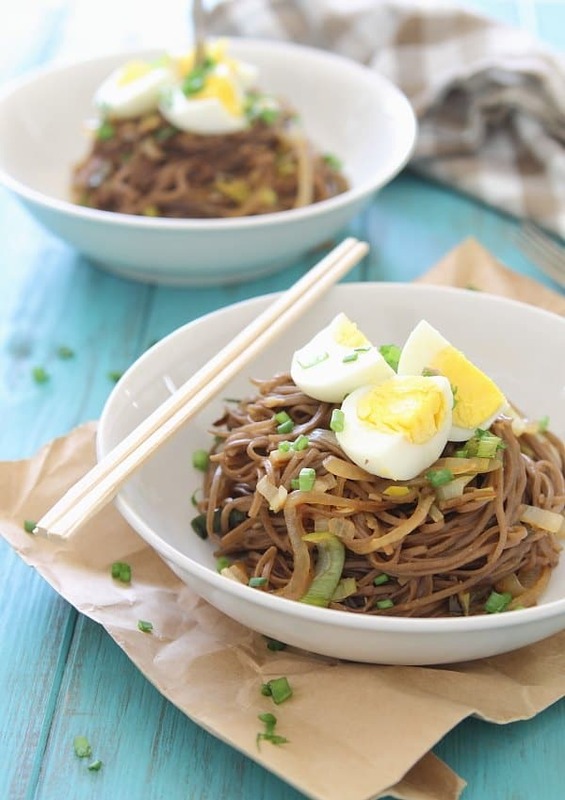 Soba noodles with leeks, sweet onions and egg – These soba noodles with leeks, sweet onions and egg are an easy and delicious vegetarian meal. 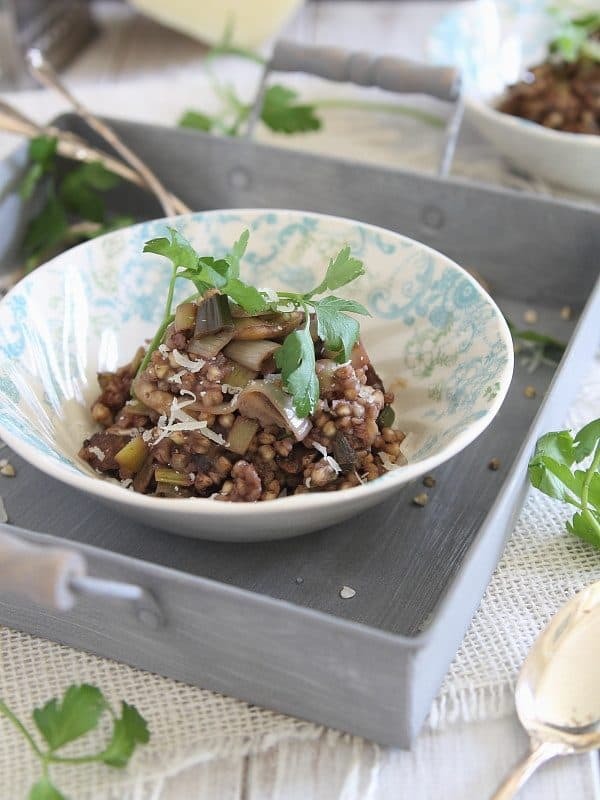 Buckwheat Risotto with Mushrooms and Leeks – This buckwheat risotto is a hearty dish packed with flavorful mushrooms and leeks. Leeks are my absolute FAVORITE. I try to use them in almost all of my savory dishes! I’ve only had leeks a couple times, but I really enjoyed them. So good/healthy for you! I love leeks. I have already shared on my blog several recipes for leeks, (potato-leek soup, sauteed, and in burgers) but that doesn’t even reflect how often I eat them. I use them almost twice a week. I love their flavor is soups, stews, and basically anywhere I might think using and onion in. Great veggie! I’m just sorry that I started eating it in my late 20s and not before that!!! I had so many fat and sassy leeks in my Fall CSA farm share that I sliced and froze bags of them–and I’ve been adding leeks to a variety of dishes. So handy and so tasty! Thanks for including my Cheesy Leeks! I am not sure if I had have had leeks before. What do they taste like? They remind me of scallions. leeks taste like a milder onion.